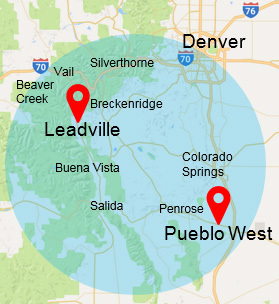 Water restoration emergencies happen every day throughout the Colorado area. Any water damage situation is stressful and irritating, regardless of the trigger event. When your roof leaks, it may affect your attic, ceiling, walls and floors. Leaky roofs lead to water damage situations and may threaten the structural integrity of your home. As homes and commercial properties sustain water damage following natural disasters such as floods, and severe storms, it is important to address the situation as soon as possible with proper water damage restoration. When flood cleanup is not attempted in a reasonable time frame, mold may set in and cause unpleasant and disturbing health symptoms. Each water damage removal and restoration project is unique with its own scenarios, but the universal idea behind successful flood repair jobs is that complete and thorough drying must be achieved before any rebuilding can be attempted. In the Cyclone Kleen Up water damage restoration process, our emergency damage restoration crews will first determine the water damage category and water sanitation classification before removing water. This is to prevent any sewage hazards or biohazards for complete environmental restoration. Then our crews will perform cleanup and remove any water and debris from storm and flood damage. After water cleanup, thorough drying must be completed before any repair, restoration or rebuilding can be attempted. This is to prevent water contamination and the spreading of mold on surfaces, as well as to prevent mold damage and structural water damage. To return your residential or commercial property to its pre-loss condition from water storm and flood damage, Cyclone Kleen Up offers these complete water damage restoration services to clean up water immediately. Water Removal & Water Cleanup – The water damage restoration process starts with water removal: flood water removal and sewage water removal and appliance water removal. Cyclone Kleen Up state-of-the-art truck mounted equipment removes large amounts of flood water quickly by hundreds of thousands of gallons. Water Damage Mitigation – After water removal, Cyclone Kleen Up will determine the water damage mitigation method needed depending on the extent of water damage and the water sanitation category or class of water damage. We then use industrial dehumidifiers, high-powered air movers and moisture detection viewers to quickly dry and restore your structure. Water Damage Restoration – In the final step to restore your home or business to its pre-water damaged condition. Cyclone Kleen Up will bill your insurance provider directly for our water damage restoration services. Most homeowners’ insurance policies will cover the cost of water damage removal services and complete water damage restoration. Contact us today and we will be happy to answer your questions immediately.